Booming Breakfast Restaurant For Sale in the Denver Suburbs! 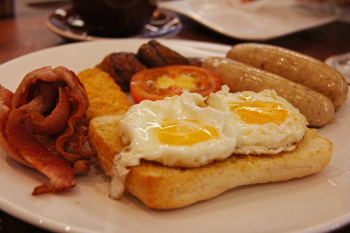 Breakfast Restaurant for Sale with strong catering business bringing in annual sales of over $1.1 million. Established and very strong six figure income - $150,000 - ready for a new owner to take over! Buy this established breakfast restaurant for sale in the beautiful suburbs of Denver. Current owner has built the business up from scratch, focusing more on catering in 2018. Sales are on the rise at a whopping 1.1 million projected by 2018-year end. Owner benefit is a true quality of life at over $150,000. Rent is reasonable at $8500 per month, including CAMS, for almost 4000 square feet of space! Location is in an ideal spot in the heart of town, where many community events take place, giving the owner opportunity after opportunity to rake in the profits. This is the spot where all of the locals meet to enjoy an amazing breakfast and pastry items their chefs are whipping up on a daily basis. The fully equipped commercial kitchen has it all! Make anything your heart desires with a massive kitchen that can crank out food plate after plate. This breakfast restaurant for sale, offered by We Sell Restaurants, comes with 2 flat top grills, 2 deep fryers, oven, dough mixer, salamander, steam tables, catering equipment, and much, much more. Inside seats 100 people and has a full-service bar, as well as a bakery case to catch the customer's eye on their way out the door. The patio out front looks fantastic with colorful umbrellas and seats 40 more guests and creates great visibility from the road. The current menu features breakfast, lunch, coffee bar, and a full liquor license. The menu and all recipes will transfer with sale and the owner will stay for two weeks to train at no cost! The Greater Denver area is the place to be and is one of the fastest growing markets in the USA! This is a highly confidential listing and will require a confidentiality agreement to be acknowledged, as well as verification of proof of funds before any information can be released about the business. Neighboring Businesses: Many offices and boutiques nearby.